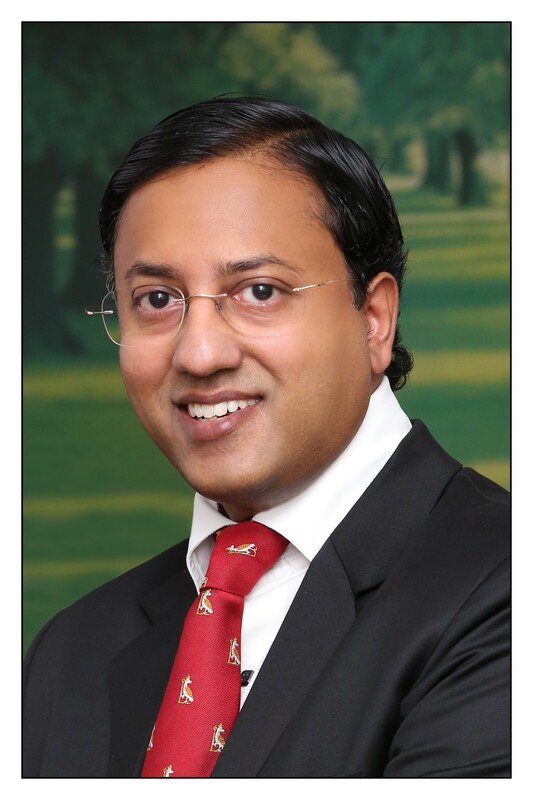 Youngest Surgeon from Telangana & Andhra Pradesh, and equally, one of the youngest doctors in the Country conferred with ‘Padma Shri’ - one of highest civilian awards of the land by Hon'ble President of India (2015) for outstanding contribution towards improving breast healthcare and for unstinting efforts to promote highest standards of Surgical Education in India through the Royal College of Surgeons of Edinburgh & England. Achieved the rare distinction to become the youngest surgeon ever from Telangana & Andhra Pradesh to be selected for the prestigious Dr. B.C Roy National Award for the year 2016 in recognition of his outstanding service in the field of ‘Socio Medical Relief’. This is the highest award for a doctor practicing Medicine in India & would be bestowed by Hon’ble President of India on 1 July 2017. One of the youngest surgeons from India elected President, The Association of Surgeons of India (ASI) for the year 2020. ASI is the single largest Surgical Association in Asia Pacific region representing surgeons practicing all over India. Youngest ever recipient of International Gold Medal conferred by the Royal College of Surgeons of Edinburgh (2013) in 510 years history of the Royal College (oldest Surgical College in the world). The medal is the highest Award that the Royal College bestows to its Fellows practicing outside the UK..
Amongst few in the World to have acquired FRCS from all four Royal Colleges in British Isles (London, Edinburgh, Glasgow, Ireland) & FACS from the American College of Surgeons. First place, MS (General Surgery) Postgraduate Examination, Kasturba Medical College, Mangalore (1995). Conferred Edward Kennedy Memorial Award for outstanding contribution to Breast Oncology in South Asia. This award was instituted to recognise excellence globally and is a tribute to Late Edward Moore "Ted" Kennedy, youngest brother of Late John F Kennedy who died of cancer (2015). Conceived, designed & established South Asia’s FIRST purpose built free standing comprehensive Centre for Breast Health, Hyderabad (2007) & has been on the forefront to introduce the Breast Health Centre concept in India. Founded Ushalakshmi Breast Cancer Foundation (Hyderabad, India) with a mission to empower women about the importance of early detection of Breast cancer. Championed many innovative initiatives under the auspices of the Foundation (2007 – to date). Implemented South Asia’s largest population based Breast Cancer Screening Programme reaching out to well over 200, 000 underprivileged women spread across 3900 villages in Telangana & Andhra Pradesh, which has attracted national & international appreciation (2012 – 2016). The driving force behind the formation of Association of Breast Surgeons of India (ABSI). This is the only organization in the Country that exclusively represents Surgeons practicing Breast Surgery all over India – The Voice for Breast Surgery in India. Elected Founder Honorary Secretary, ABSI (2011 -2013) & President (2015 – 2017). Overseas Coordinator (2005 -2008), Executive Committee Member (2009 -2010) & Editorial Secretary of Indian Association of Surgical Oncology (2011 – 2012). Contributed a Chapter on Breast Surgery in the latest edition of 'Bailey & Love companion Guide' (2015) in addition to NINE Chapters in THREE Text Books of Surgery & ‘Recent advances in Surgery’ published from London. Convenor, Overseas Intercollegiate Final MRCS examinations organised by Royal College of Surgeons of Edinburgh & Royal College of Surgeons of England in Hyderabad (2008, 2010, 2012, 2015, 2016, 2017, 2018 & 2019). Singularly responsible for making Telangana & Andhra Pradesh a centre for Intercollegiate MRCS Examination in India, thus helping hundreds of Doctors from this region to accomplish their dream of sitting the prestigious Examination in India without the need to travel all the way to the UK. Amongst the Five Surgeons from South Asia to be appointed International Surgical Advisor for the Royal College of Surgeons of Edinburgh (2012 – todate). Addressed TEDx Deccan in Hyderabad on ‘Establishing a benchmark for Breast Healthcare in India’. TED (Technology, Entertainment & Design) is a non-profit global Organisation devoted to Ideas worth Spreading. TED aims to bring together the world's most fascinating thinkers and doers, who are challenged to give the talk of their lives (2011). Awarded Vishal Bharat Ugadi Puraskar by Delhi Telugu Academy (2011). Awarded Visishta Ugadi Puraskar (State Award) by Govt. of undivided Andhra Pradesh - India (2010). Featured in the Book ‘In pursuit of Passion’, which includes the profiles of 50 icons of change & inspiration from Andhra Pradesh (2010). Vocational excellence Award for distinguished service in the field of ‘Breast Oncology’, Rotary Club of Jubilee Hills, Hyderabad, India (2009). Member, Board of Advocates, American Society of Breast Surgeons, the largest Society in the World that represents Breast Surgeons across America - FIRST & the ONLY Surgeon outside United States of America to have served on this high profile Committee (2009).